In the wake of EVM tampering allegation from various political parties, the EC has also put in place administrative safeguards and security protocols to prevent any misuse of EVMs and VVPATs. 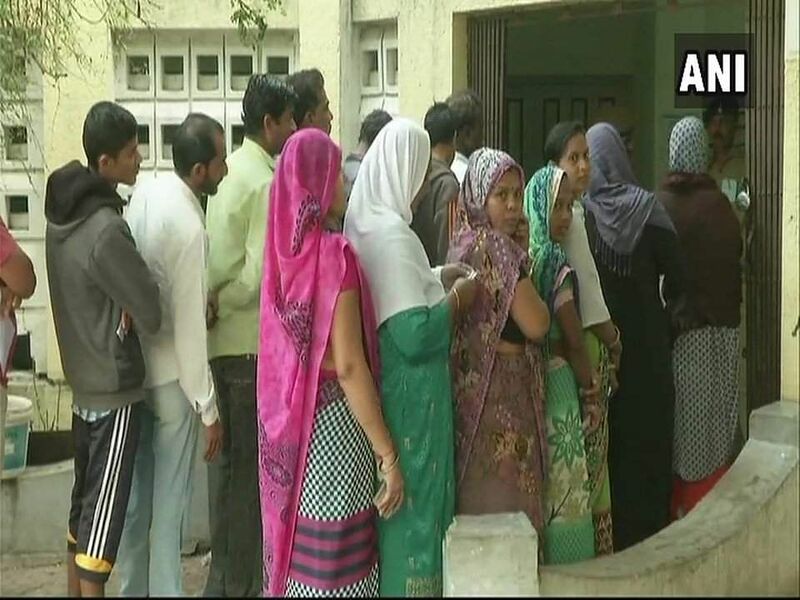 The first of Gujarat's two-phase assembly polls began on Saturday across 89 constituencies spread out in the 19 districts of Kutch, Saurashtra and southern regions. A total of 977 candidates are in the fray from Kutch, Morbi, Jamnagar, Dang, Valsad and more districts. Of the 89 seats, the ruling Bharatiya Janata Party holds 67 and the Congress 16. One seat each is held by the NCP and JD-U while independents hold the remaining two. There are a total of 24,689 polling booths. The second phase polling is on December 14 and counting, along with that of Himachal Pradesh, will be held on December 18. 6.30 pm - First phase of Gujarat polling ends. 2 pm - Over 30 per cent voter turnout recorded so far amid rising complaints of EVM, VVPAT glitches. 11 am - The faulty EVM in Sardar Patel Vidyalaya booth in Surat's Varaccha has been replaced, reported ANI. 10:30 am - Amidst reports of an EVM malfunctioning, Vipul Goti, Master Trainer, Election Commission in Surat's Varaccha told ANI: "Have replaced two machines and one VVPAT, you cannot really call it a technical error, these are electronic items there can be some issues. Now everything is okay and voting has started." READ HERE | Telugus head out to paint Gujarat towns saffron. There are close to 7 lakh Telugu speaking people in Gujarat of which over 3 lakh have voting rights; though most of them appear to be BJP supporters, both national parties are roping in leaders from Andhra Pradesh and Telangana to campaign in Gujarat. 8 am: Voting begins for the first phase of the Gujarat assembly election 2017. Over 1,74,000 police personnel have been deployed with security apparatus on highest alert to ensure smooth conduct of the voting process today. In the wake of EVM tampering allegation from various political parties, the EC has also put in place administrative safeguards and security protocols to prevent any misuse of EVM and Voter Verifiable Paper Audit Trail (VVPAT) machines. 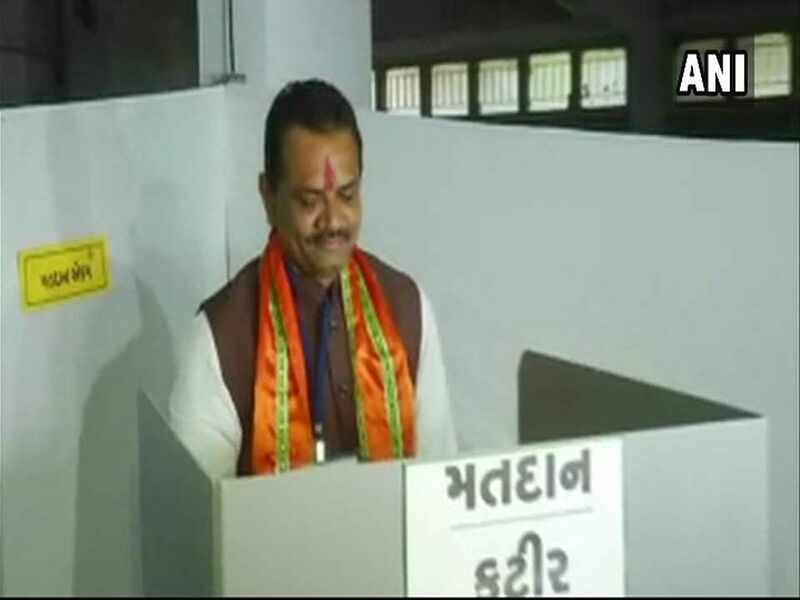 Prominent candidates for today's battle include Chief Minister Vijay Rupani, who is contesting from Rajkot (West), and Congress' Shaktisinh Gohil (Mandvi) and Paresh Dhanani (Amreli). The election is viewed as a prestige battle for Prime Minister Narendra Modi and a litmus test for the leadership of soon-to-be Congress chief Rahul Gandhi. The campaign shaped up as a duel between Modi and Gandhi, and often turned personal.